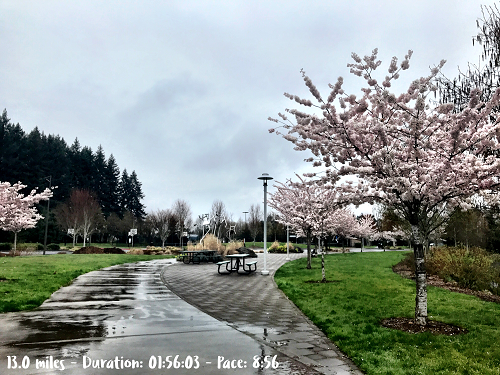 Monday – 30-40 minutes recovery jog. Actual: Ran for about 30 minutes with my sister and ended up with 3.02 miles, avg. pace 10:07. Tuesday – Plan: Rest day. Actual: Rest day. Spent half the day in the car driving to Los Angeles. Wednesday – Plan: Let’s either do a fartlek or a hill workout since you might be in a area with hills and trails. If you two can get to a trail, that would be great. If you do hills, go by time and do up to 1:00-1:10. Include 6 x 10 second hill sprints, with full recovery in between. Easy rest of the run. If it is more flat.. do it as a fartlek. 10-15 min warm up, then- 10 x 30 seconds at about 75-80% effort, cool down until reach around 6-7 miles. * Do some dynamic stretches and lunge matrix before run. Actual: My sister and I ended up going to Runyon Canyon which was about 15 minutes from where we were staying. We did some dynamic stretches and lunges before the run. I’m glad we went there because we got some amazing views. The hills were tough but worth it. We ended up running less than hour because we were running out of time since we wanted to get to Universal Studios early. Ended up with 3.16 miles, avg. pace 12:34. Here’s a cool pic my sister took of me running down the hill: Thursday – Plan: 1 mile easy, then 6 miles at 8:35-45. Add in 5 x strides mid run. Drills after- 4-5 + try to get in some core work. Actual: We drove back to my sister’s place before we got our run in. I’m not used to running in the afternoon but it went well overall. It was warm and windy. My hat actually flew off so I had to run back and get it. Got the 6 miles in the pace range, so it was all good. Paces were 8:43, 8:35, 8:34, 8:34, 8:36, and 8:33. I also did the strides mid run. But I forgot about the drills and core work. 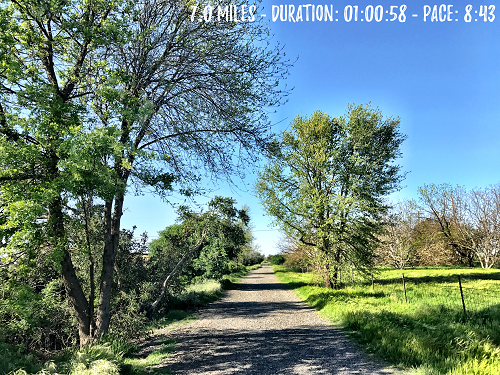 Ran 7.0 miles, avg. pace 8:43. Friday – Plan: Rest day. Actual: Rest day. Spent 9+ hours on the road driving back to Oregon. then easy until you reach 12-13 miles. Actual: Ran it as planned. The 2 x 4 miles at 8:35-45 splits were 8:37, 8:37, 8:34, 8:33, 8:34, 8:31, 8:41, 8:35. Ended up running 13.0 miles, avg. pace 8:55. Felt fine overall but didn’t enjoy it as much. So hard when you know vacation is coming to an end and I got used to running with my sister. 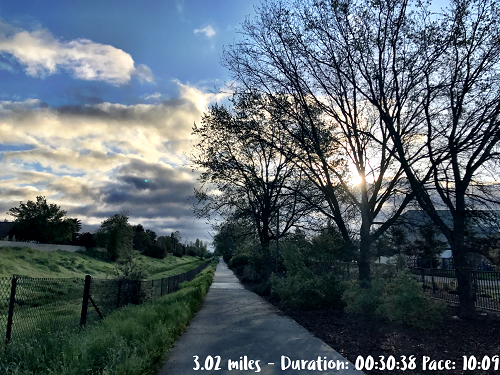 Sunday – Plan: Rest or easy 3 miles. 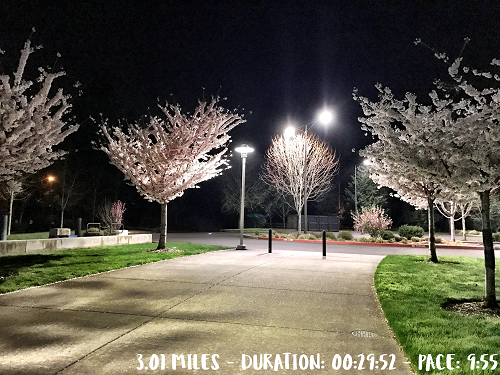 Actual: Ran 3.01 easy miles before work, avg. pace 9:56. Total miles = 29.19 miles. It was a fun vacation week. It’s was nice getting to run with my sister too. I can’t believe the marathon is already next Sunday!! I’m a bit nervous and hopefully the weather will be good. Right now it looks like the low is 38*F and 60% chance of rain. We shall see. 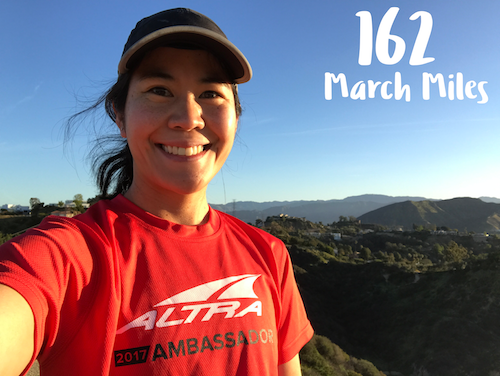 I ended March with 162 miles. I’d say it was a terrific month. 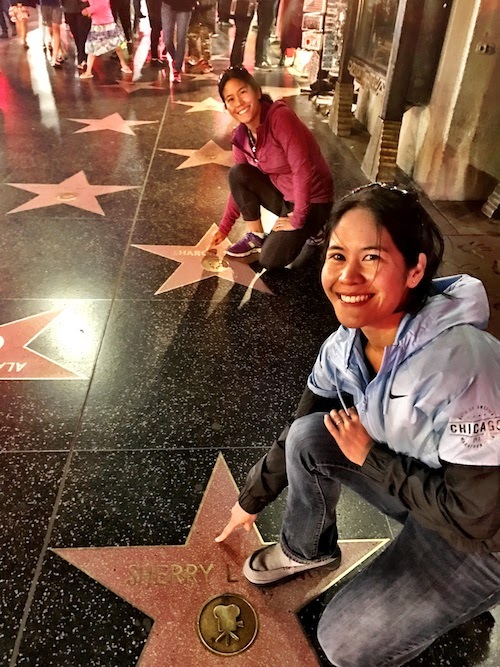 Here are some vacation highlights: We walked along the Hollywood walk of fame. 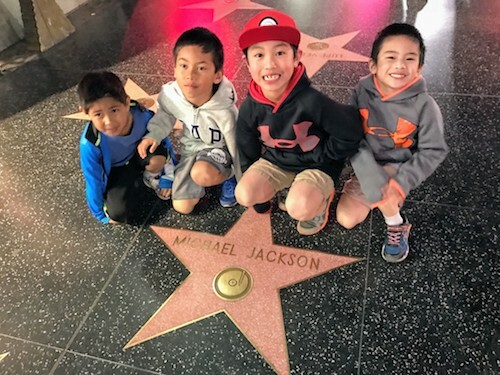 My 8 year old really wanted to see Michael Jackson’s star. My sister and I found our stars…haha and they were close to each other. 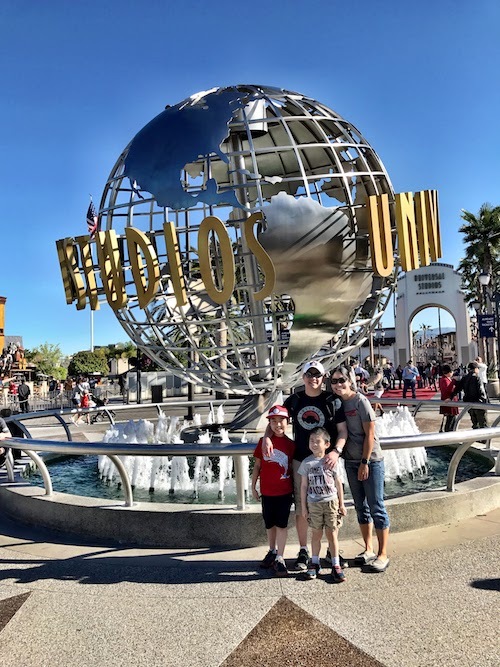 We went to Universal Studios on Tuesday and Wednesday. It’s been a long time since I’ve been and was surprised with all the new things like the Simpson’s land and the Wizarding World of Harry Potter. There’s so many more rides too. I thought the Transformers characters were pretty cool. 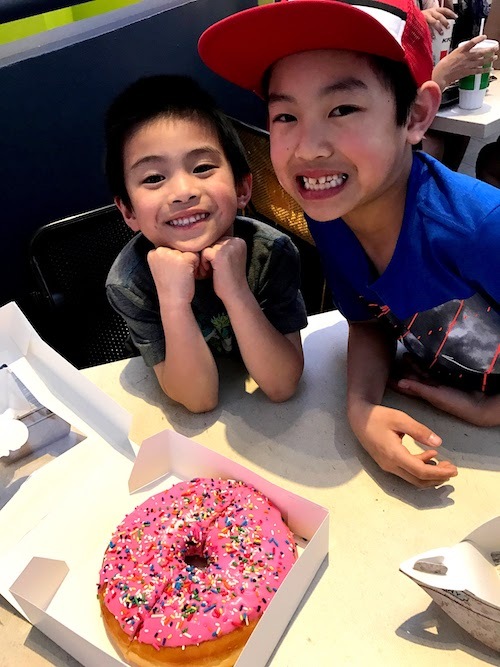 Check out the Big Pink donut. How’d your week go? Any races coming up? Great job with your runs – your paces are so consistent! 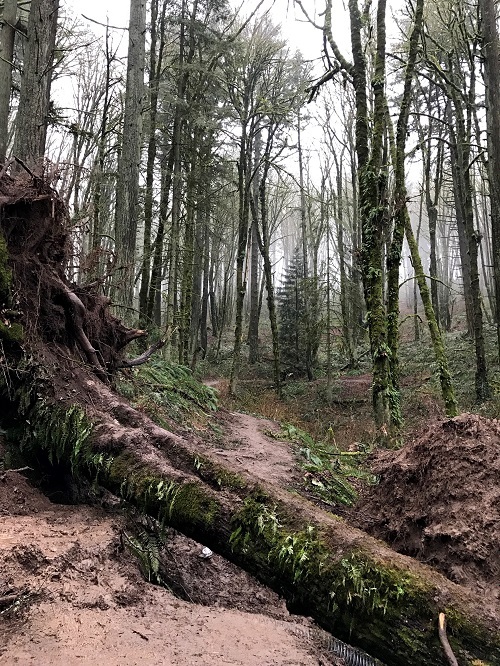 The trails look gorgeous and fun to run in. I don’t know why I didn’t get the giant pink donut when I went to Universal Orlando during Disney Princess Weekend…it looks SO good! 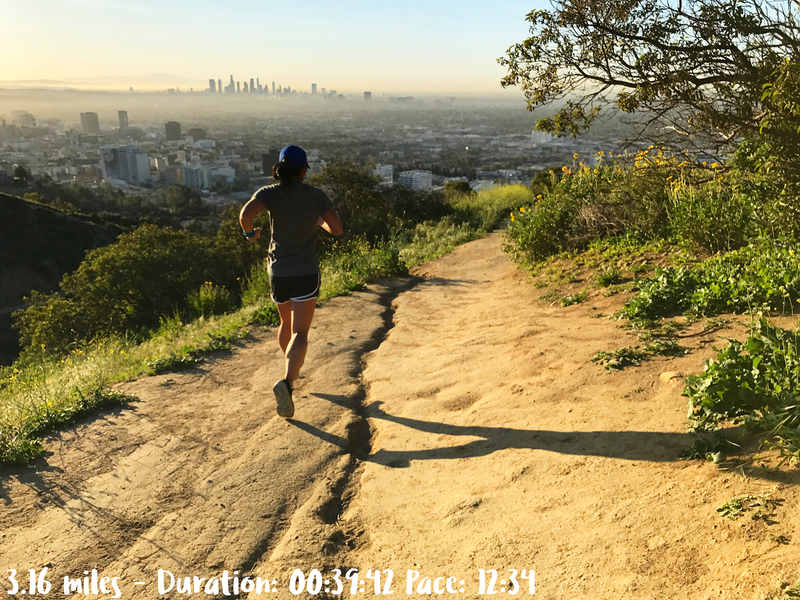 That Runyon Canyon trail looks like a great place to run. It has been years since I have went to Universal Studios.That is a huge donut! I’m so glad we ran at Runyon Canyon. I recommend going there if you’re in the Los Angeles area. The week was fun running with you and visiting Universal Studios! I can’t believe your marathon is this upcoming weekend! Good luck! I know you are going to do awesome! I hope you have good weather for the marathon! That run on in the canyon outside of LA looks amazing! Thanks Judy! The canyon was amazing! I’m so glad we ran there! I know the kids had a blast a Universal Studios! I can’t believe your marathon is next week. 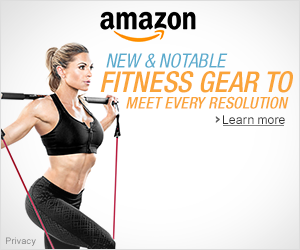 You’ve had an excellent training cycle so I know you’ll have a fantastic race. I always love spending time with my sister too. In fact, I’ll see her in a few days and we’ll do a 10k together. Thanks for linking, Sherry! Thanks Holly! 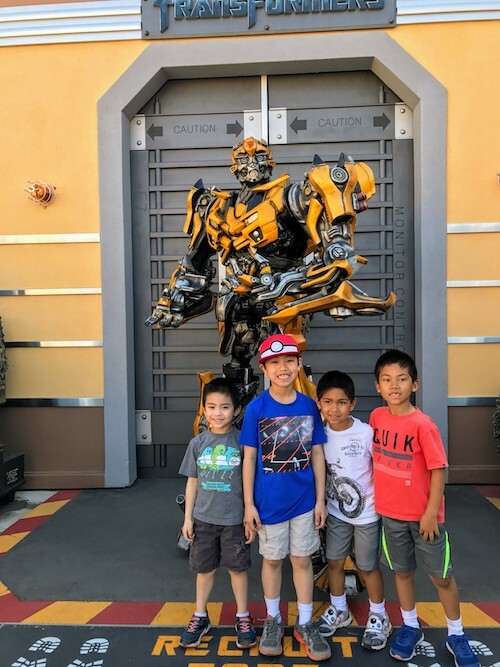 The kiddos sure did have a blast there. Very cool you’re doing a 10k together! Strong taper week! Best of luck on the marathon. 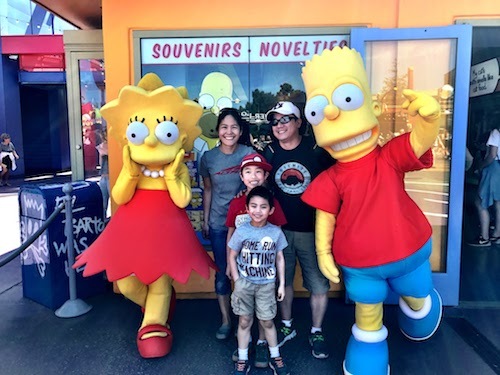 Need to take my kids to Universal Studios – haven’t been there in a decade!